Last year we made almond bark pretzels. We used a big brick of Almond Bark which we purchased at the grocery store, melted it down, dunked the pretzels and covered them in Christmas sprinkles. And they were just like I remembered them all those Christmases growing up in Iowa. So good! In Boston there are no packages of ready-to-go almond bark in the holiday section of the grocery store, so this year I thought I would see if I could make them from scratch! I googled for almond bark made from scratch, but every recipe started with "melt down one package of white chocolate..." Didn't seem very made-from-scratchy... what I want to know is how to make the white chocolate in the first place. The other day on the phone you read the ingredients label on your package of almond bark: "sugar, partially hydrogenated palm kernel oil, whey powder, soy lecithin, artificial flavor." Needless to say, I don't have those ingredients on hand so that was out. Eventually I found a candy recipe in an online forum for a "bark" used in covering almonds. It seems rational that almond bark pretzels could be covered in something originally intended for almonds, so I wrote it down with a few alterations. In 2 quart heavy saucepan, combine sugar, milk, corn syrup, and salt. Cook, stirring constantly until sugar dissolves and mixture comes to a boil. Cook without stirring to soft ball stage. * Remove from heat and add butter, do not stir. Let cool until lukewarm, then add almond flavoring. Beat until mixture thickens and is creamy. 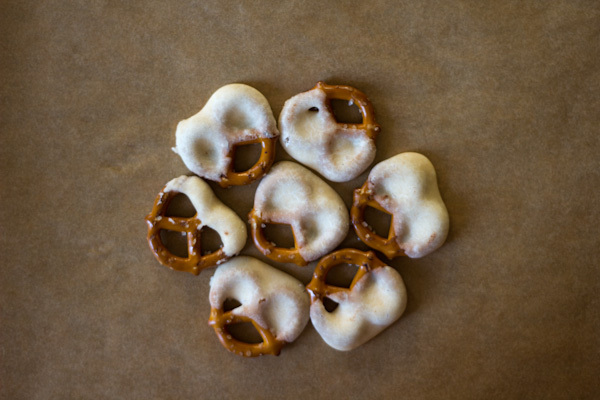 Keep mixture warm over a double boiler as you dunk half of the pretzels, letting them cool on waxed or parchment paper. *I had no idea what soft ball stage was and had to look it up online. I found it means cooking the sugar mixture to 235 degrees, but I didn't have a candy thermometer and my meat thermometer only went up to 190 degrees, so I just guessed. Oops! So, this whole process was a little tricky, I think I may have heated it over the recommended temp, and it was difficult to manage the double boiler and keep the bark from getting to hard before I had dipped all the pretzels. I also didn't completely cover them because the bark was **so** sweet it only needed a very little bit. The end result was still pretty sweet, the bark dried a bit chalky, and the taste just wasn't quite right. I guess I'm not a candy maker! It looked okay though. I consider this a fail because it was definitely not better than the stuff you buy in the package. But, there must be a superior almond bark made-from-scratch recipe out there somewhere! They had to come from somewhere. I am asking anyone with a pre-1970 midwest church cookbook to check for a homemade almond bark recipe. Maybe together we can find something better! 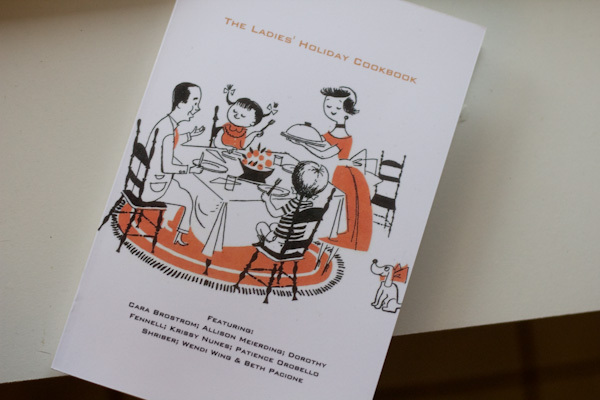 On a different note, look at this adorable cookbook my friend made for Christmas! She printed it with blurb. Its paperback and so cute. It could be our first go at a printed book? Good luck with your Christmas Eve cooking! Wow! You did it... almost. Keep trying! I am hoping I have time to make the "real" almond bark ones today. When I lived on the East coast, I was sad that they didn't have almond bark, and I always smile that come the holiday season, here in Iowa, the almond bark is stored right beneath the pretzels and vice versa. So thoughtful. 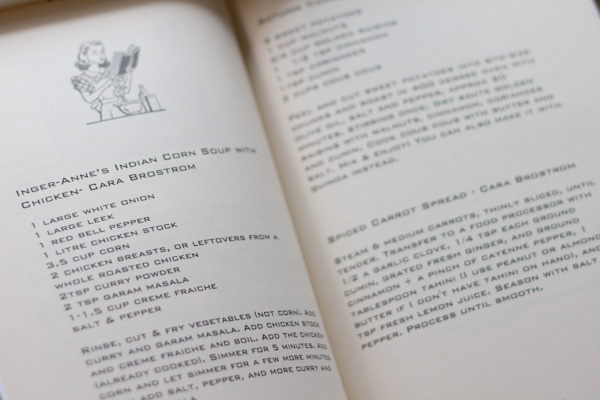 Weekly Menu: The first week of December!